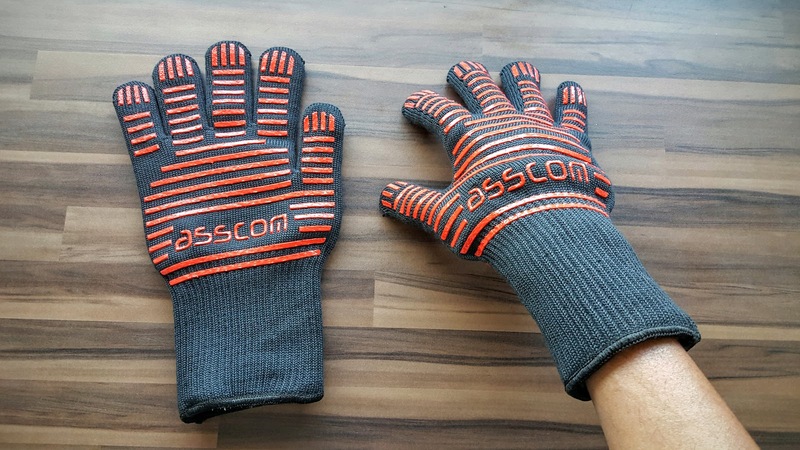 In short, it’s easier to say the glove is not fire resistance but everything else. Withstands up to 500° Celsius of heat. Best for taking the grill straight out of burning fire or hot Oven. 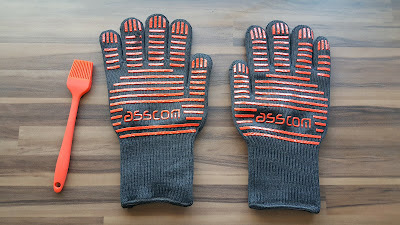 This gloves has been testing for past 2 weeks or so, including just holding a hot pot to taking the grill out from burning hot oven (over 250° Celsius). 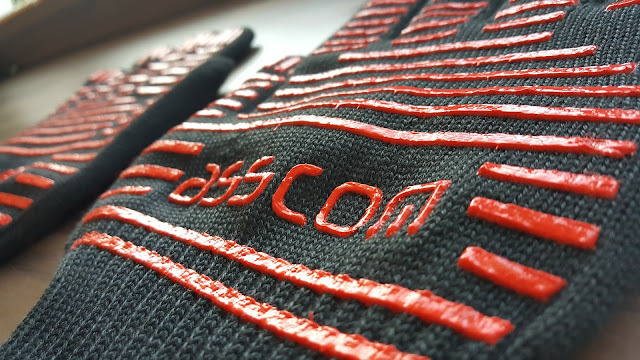 The glove extends to half of forearm, that gives a great protection on hands as well. Holding the pot, even at boiling point is easy. The silicone / rubber cross pattern gives you enough grip for the pots and pans you hold. Gloves are on the larger side, but snug fit into your fingers and hand. You get plenty of protection to forearms too. Red & Black colour gives a decent look and inside layer is off-white. 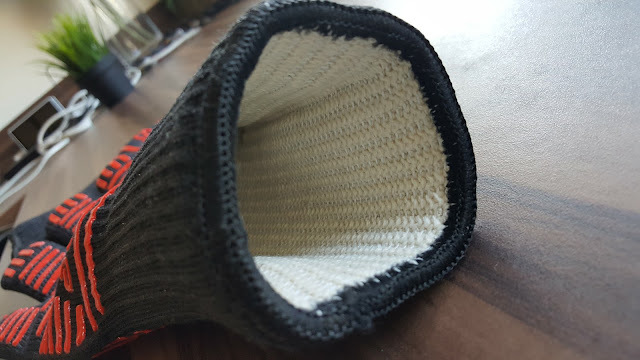 Aramid fabric. 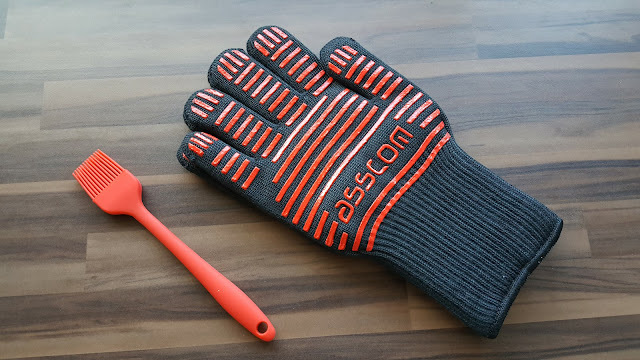 The Gloves are made of different variety of Aramid fibres, Nomex and Kevlar. Aramid is famous for military applications and body armour. Various tests has been done with this gloves including BBQ Grill, taking various food in and out of Oven and more. This is not just for Oven or BBQ use, but all around Kitchen on a daily basis. 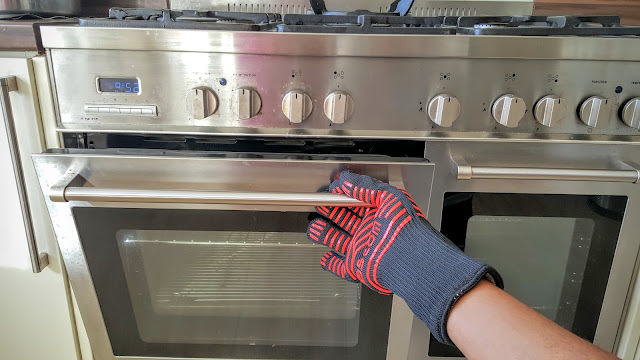 Holding hot pans and pots or even lifting the lid - these gloves are really useful. My usual way of doing things were grabbing the hot pots with tea towel, whilst struggling and negotiating with the heat. 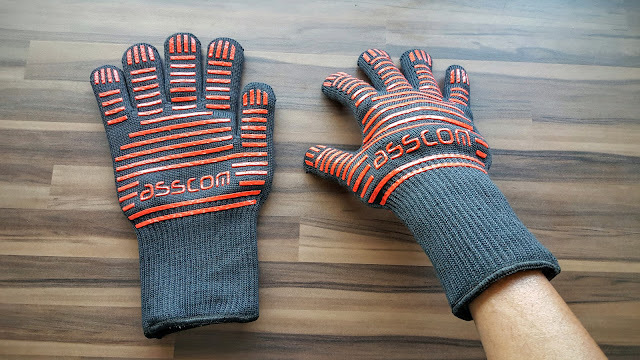 Overall a great pair of Gloves, gives real protection to your hands even at very high temperature. Also as added bonus the gloves gives enough grip and comfort. Please do check out the pictures to see what exactly you get and how it looks.